Participants after one of the many training sessions at the conference. 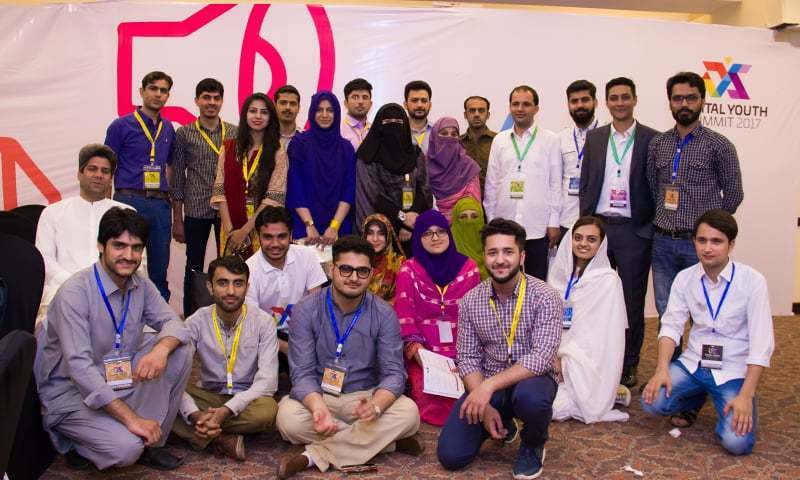 Over 4,000 delegates from across Pakistan attended this year’s Digital Youth Summit, Peshawar’s premier tech and entrepreneurship conference organised by the KP Government’s IT Board and The World Bank. The event, held on 5th-7th May, was supported by Jazz, UNDP and the USAID. The event kicked off with an by-invitation-only opening panel on May 4 – the open to the public event was held from the 5th to the 7th and over 80 speakers from around the world came together to discuss Pakistan’s future in entrepreneurship and innovation. Delegates and speakers were buzzing with energy during the three days as they listened to panel discussions, keynote speeches and pitching competitions. The venue’s café and restaurant became a networking hotspot as start-ups pitched their businesses to investors and corporates and even signed MoUs with the Government and development sector organisations. A lot of the conversation at the conference revolved around the recent growth of incubators in Pakistan. Speakers discussed how incubators are helping Pakistan’s start-up ecosystem and whether there was a need for more. Yousaf Hussain, CEO, ICT & R&D Fund, announced the establishment of four new National Incubation Centres (NIC) in Lahore, Peshawar and Karachi; a model NIC has already been established in Islamabad. 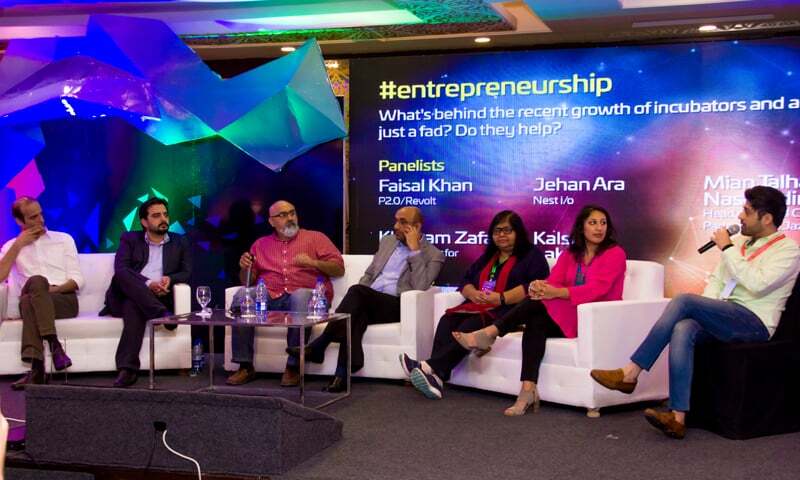 In a discussion with directors of notable incubators in Pakistan, the panel agreed that although incubators are crucial, it is the founders themselves who make a start-up a success. Whether it is employability or improving your chances of running a successful business, some skills are more in demand than others. These include leadership, digital marketing, graphic design and programming. A significant part of Pakistan’s digital economy is based on individuals or groups of freelancers who use these skills to make their living. The conference hosted a freelancer awards ceremony to recognise the best performing freelancers. Student volunteers of the event. Speakers emphasised the role start-ups play in job creation. 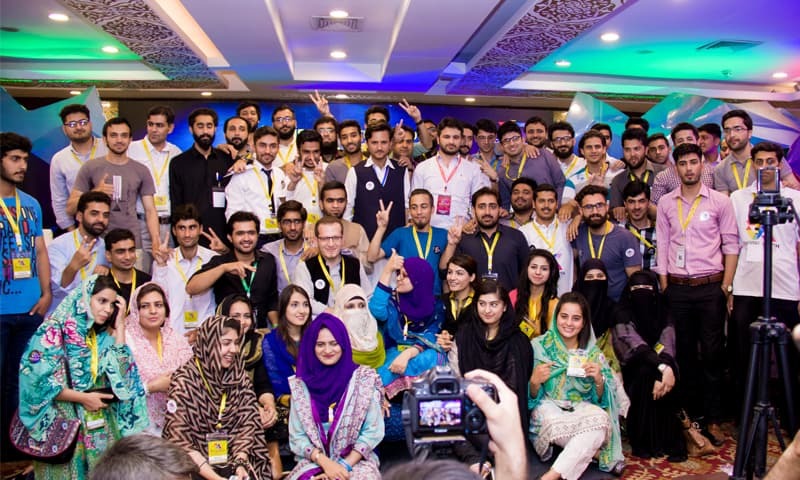 Start-ups founded at the LUMS Centre for Entrepreneurship have so far created over 1,000 direct jobs in the last two years. Junaid Iqbal, CEO, Careem, announced that the app aims to create 25,000 jobs in KP in the next year. 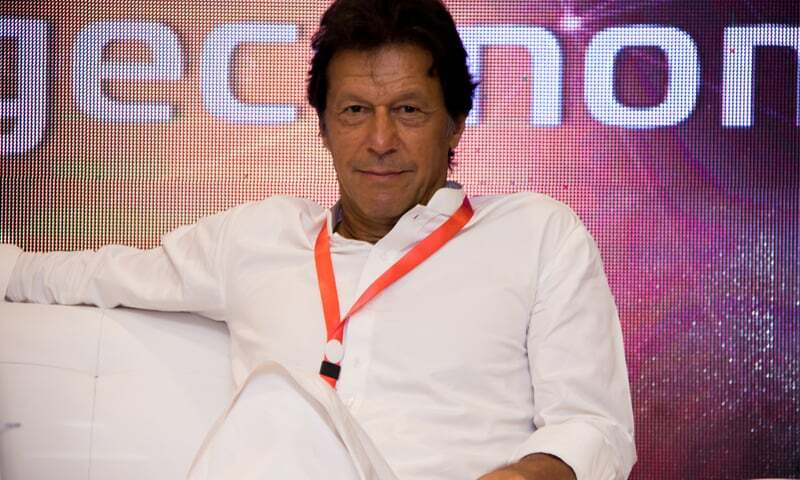 Imran Khan, chairman of the ruling party in KPK, addressed the conference and announced his Government’s support for start-ups like Careem which have had a huge impact on the economy. He emphasised the need for investment in the region by local and international investors. One of the challenges start-ups face is raising investment. Investors and fund managers attending the conference shared their plans about creating a start-up friendly investment ecosystem. In his closing keynote speech, Nadeem Hussain, Founder of Planet N, spoke about his plans to find and fund Pakistan’s first unicorn (a start-up company valued at over $1 billion). Hussain currently invests in tech start-ups under the banner of 10xC and Planet N. Khurram Zafar, Executive Director, LUMS Centre for Entrepreneurship, announced that 47 Ventures (a Pakistan-focused VC fund based in the Cayman Islands), was inviting applications from start-ups for funding ranging from $50,000 to two million dollars. Tech means data – lots of it. Technology users are generating more data in a day compared to what was previously generated in years. Analysing this data is a goldmine and many of start-ups are aware of this. Planet N currently employs 18 data scientists to analyse data and trends from their start-up portfolio. During a presentation of a project called VPPD (Virtual Platform for Peace & Development) which is based at the University of Peshawar and supported by the UNDP, Asad Iqbal, a Full Stack Web Developer and Data Analyst, demonstrated how the project collects open-to-public data from various sources and visualises it on a map for analysis and comparison with different variables. This enables the development sector and the Government to take smarter decisions based on data. 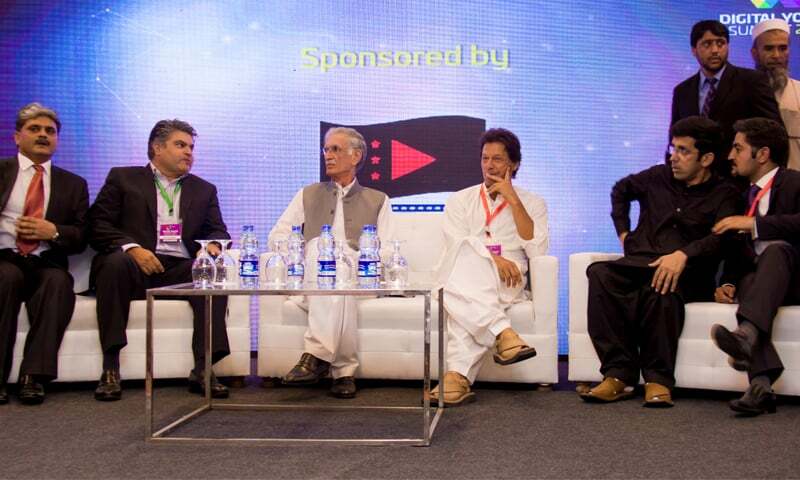 Imran Khan accompanied by Chief Minister of KP Parvez Khattak, Minister of Information Technology Shahram Khan Tarakai, Managing Director of the KP IT Board Shehbaz Khan and senior representatives from Jazz. Creating an ecosystem of innovation requires everyone players to play a role. Mian Talha, Head of Digital Channels & Partnerships at Jazz (one of the sponsors of the event), said that Jazz (previously Mobilink) is no longer a telecommunications company but a digital company and this was only possible thanks to the forward thinking leadership of the company. Talha mentioned that he has a start-up of his own which is highly appreciated by the management. This leads to innovative thinking within the company and leads to development of innovative products. The conference hosted a Start-up Cup, a competition for start-ups from around the country. Winners were awarded a cash prize of $2,500. The winners were Find My Adventure (a tourism start-up based out of Lahore), AdsCanyon (a marketplace for buying and selling offline ad spaces in cities) and Qayam (a platform for short term renting). The KP IT Board in partnership with the World Bank, Code for Pakistan and Peshawar 2.0 announced a series of forthcoming activities under the Digital KP strategy such as the KP Civic Fellowship, a mobile app challenge and an ArtTech Fesitval which will be organised in the next two quarters of the year. All photos have been provided by Urooba Khalid. This is IK for you and this is his vision for this country. Now its us who have to decide whether we want metros, taxi or this kind of development. Loved that Imran Khan wore a badge unlike Khattak. Such small hints are clear indicators of where such leaders stand when following procedure and rules. IK should be given a chance. Sir go and follow UMAR SAIF ON FACEBOOK and you will know how PUNJAB's IT board is light years ahead of the rest, yes including KPK.